“Leadership is hard to define, and good leadership even harder. How would you define love? How would you define justice? These are extremely difficult concepts to wrap around and despite the greatest minds, remain elusive. Leadership is just as challenging to define. However, in this crazy, bitter and confusing election cycle, we must give it our best. Despite the many books and articles written on leadership, it continues to vex the greatest thinkers. The difficulty is that leadership is often viewed through the lens of culture and morality and, therefore, colored by extreme bias. Leadership is not about having a title. Leadership is not about seniority. Leadership is not walking away from a crisis. Leadership is not about complaining because people are angry with you. Leadership is not about not about blaming others. Leadership is not whining about your problems or finding excuses. 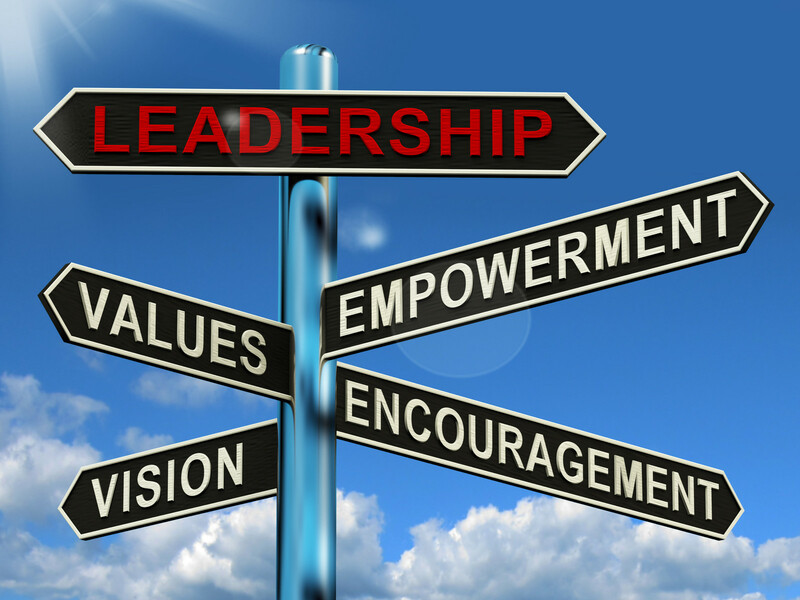 A few years ago I had a personal awakening concerning leadership. A company commissioned me to create an interactive DVD which I titled “True Leadership.” In truth, this was one of the most challenging projects of my career because of the boundaries put on my research and development. I was asked to come up with leadership traits which were “culturally neutral” and “morally neutral.” Pause and consider this for a moment. I focused on style. I thought of Winston Churchill, Mahatma Gandhi, Mother Theresa, General George Patton, Margaret Thatcher, Golda Meir, Martin Luther King Jr., Joan of Arc and the man known as the great communicator, President Ronald Reagan. What were the common traits that made them great leaders? It certainly wasn’t style. Their styles were totally different. Also, style is determined by many elements including culture, ideals, timing, value systems and forms of government. So style doesn’t necessarily make a competent leader. I had to let style go. What about traits like honesty, integrity and taking personal responsibility? Problem is: there are many individuals who have these traits and are not leaders. Next, I had to step out of the comfort of my personal beliefs. I had to dig deep enough to peer below the obvious. Interviewing numerous well- known, community leaders and venturing back in history, I had to face the reality that there were some fairly hideous, evil and destructive leaders and well as gifted and stellar leaders. As much as I wanted to, I could not let my prejudice sway me. -Having the willingness and skill to EMPOWER others. -Having the ability to TURN FEAR INTO POSITIVE ACTION. -Creating a compelling VISION of the future. -Having the skill to clearly COMMUNICATE THE VISION. I would like to address the single trait that everything else hinges on: VISION. Vision is an emotionally charged, clear and vivid picture or mental movie of the future that instills hope and inspires action. American author/educator, Helen Keller said, “The only thing worse than being blind is having sight but no vision.” Helen Keller was both blind and deaf. Ask yourself: what would move someone to take a journey that he, or she, finds uncomfortable or, perhaps, doesn’t want to take? True leaders have a clear vision of where they want to go and, a true leader takes people to places to which, if left on their own, they might not go. Napoleon Bonaparte said, “A leader is a dealer in hope.” And hope is what keeps people marching forward with purpose – in spite of setbacks and difficulty. A true leader has the ability to change the way people IMAGINE their future and see opportunity and possibility. That affects the way they think, choose, behave and act. In essence, a clearly communicated powerful vision of the future provides the lens through which people experience the basic concepts that influence their plans, ethics and life strategies. It acts like a giant rubber band tied to an ideal future, creating what I refer to as “Quantum Tension.” Tension seeks resolution and moves us from the present to a new future structure. Here is where I stray from my original assignment about a vision being morally neutral, which I explore in detail in my first book, Quantum Leap Thinking: An Owner’s Guide to the Mind. What I call a “grand vison” is about greatness. It goes beyond the individual. It focuses our sights and actions on what we want to become tomorrow. It may be re-creating our educational system, cleaning up our environment, re-inventing our troubled institutions, including government, or serving others. A grand vision is always about something beyond ourselves. A grand vision is idealistic and spiritual. Think the Auschwitz survivor Viktor Frankl, writing “Man’s Search for Meaning.” Think Martin Luther King, Jr., inspiring 20 million people with his vision, President John F. Kennedy’s vision of space exploration. His and Mahatma Gandhi’s vision of independence. A grand vison is authentic, it comes from the heart, meaning that it comes from you. It is extraordinary. If it spells out your highest ideals and wishes, it will stand above the commonplace. It may seem radical and outrageous. It will set you apart from the crowd, and you may be criticized and misunderstood. Think Socrates, Gandhi and Jesus. Lastly, a grand vision is value-based. Values motivate, inspire, articulate, guide and galvanize. Crafting and communicating a vison as a leader is tough work. Sustaining a vision is tougher still. But it has worked – and will work. In this lightning-fast, technology-driven, daily-changing world, vision is what is needed from a true leader. Imagine a leader who had the courage and ability to bust apart rigid hierarchies and transform these bureaucracies into flexible units, where excellence and risk-taking are celebrated, where those with the most power are the most creative. Imagine yourself in whatever position you have in life as being a leader.